It is easy to use these vectors in Adobe Photoshop and add other improvisations that enhance the overall effect of the designs. 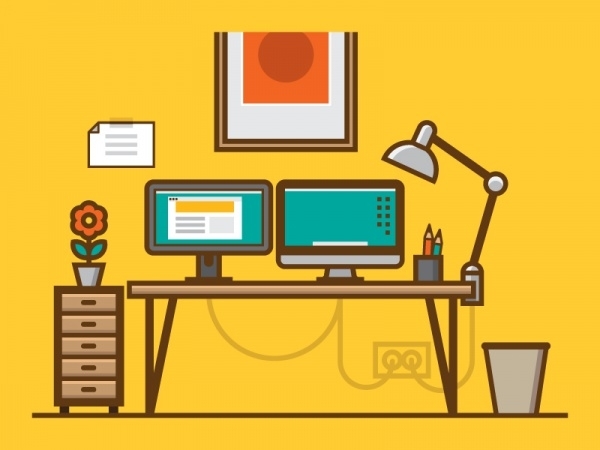 Workspace vectors are available in high resolution and come in several formats such as Ai, PNG, PSD, EPS, SVG which makes it easier for professional designers and artists to use them in their projects. 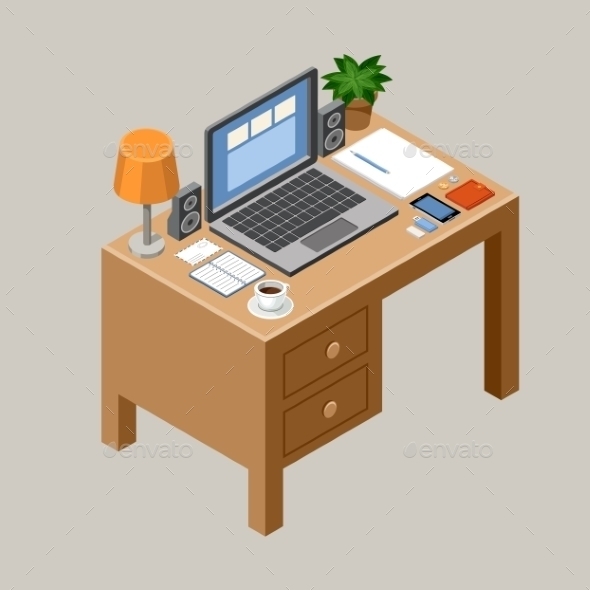 In this vector you can find the icons of a lot of office desk accessories such as desktop, pen stand, coffee mug, notebooks etc. So you can pick them up and use them individually. 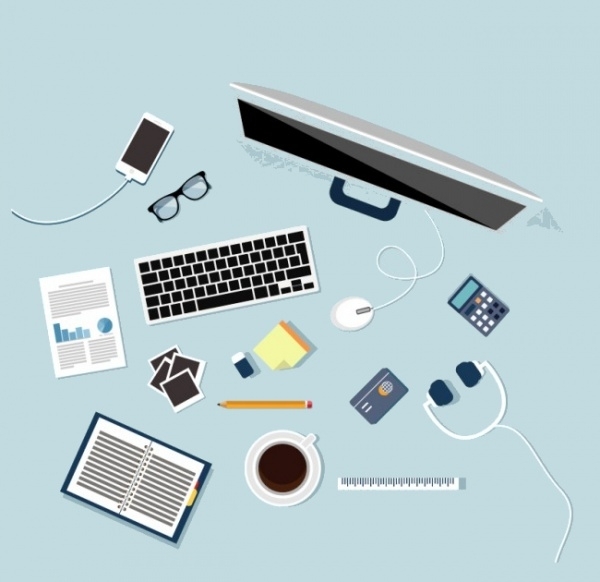 You can get high quality illustrations here that will definitely help you in making your design projects awesome. These banners have amazing design elements that come in great colour palette and texture. This vector has a geometric design which gives it a modern art feel. With this vector you can give a contemporary touch to your creations and make them look urban. 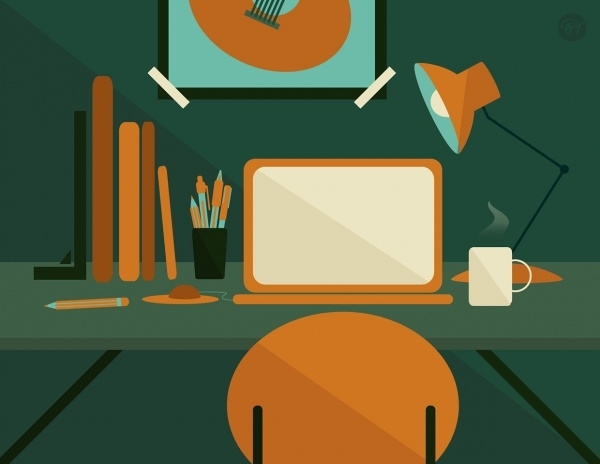 This is one of the coolest workplace illustrations that one will come across. This vector has a comic strip appeal which adds a fun element in the design. With this vector you can make your design look cool. 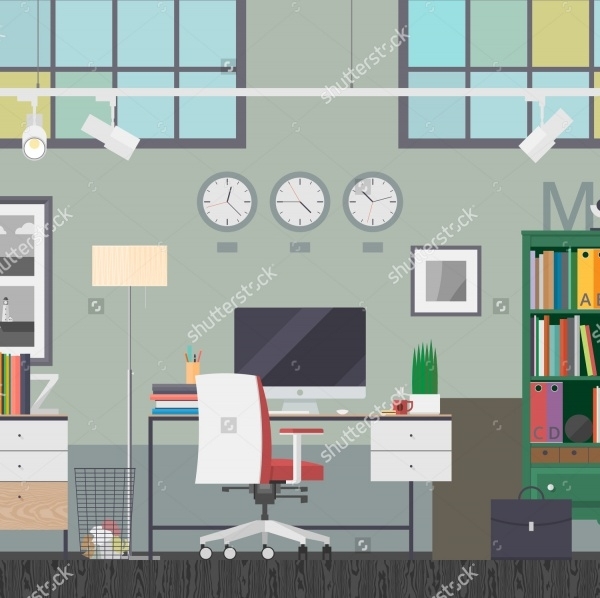 This illustration of a modern office has new and interesting design elements such as modern lights, calendar, photo stand, speakers and other office interior items which makes it super awesome. 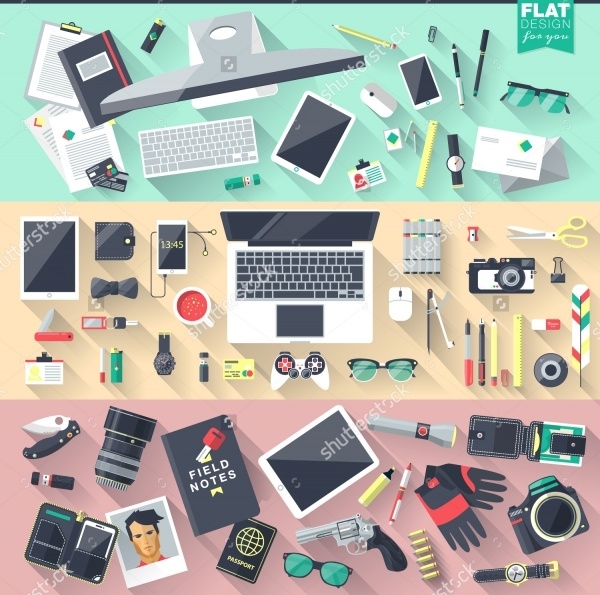 This flat illustration looks cool and can be used for free personal and commercial purposes. The colours used in this vector make it look rich. You can download this vector for free. 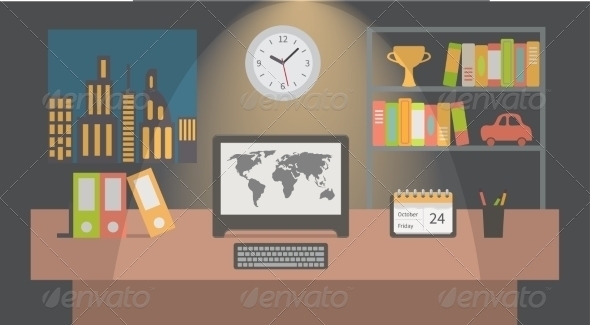 This vector focuses on the office workspace during the dark hours of the night. This vector has a surreal feel to it which makes it look amazing. It can be used in posters or other graphic design work. This vector has a shadow effect which gives the appearance of daylight. 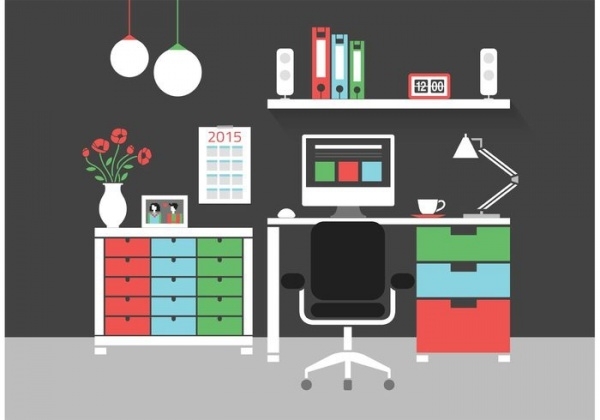 In addition to that it has several office desk accessories in a beautiful texture that will appeal anyone in the first glance. 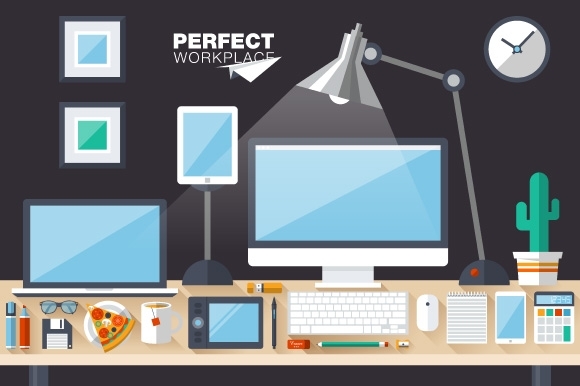 With a plethora of icons that pertains to the workspace you get an incredible range to choose from. You can mix and match with these vectors and combine them to create a wonderful artwork. 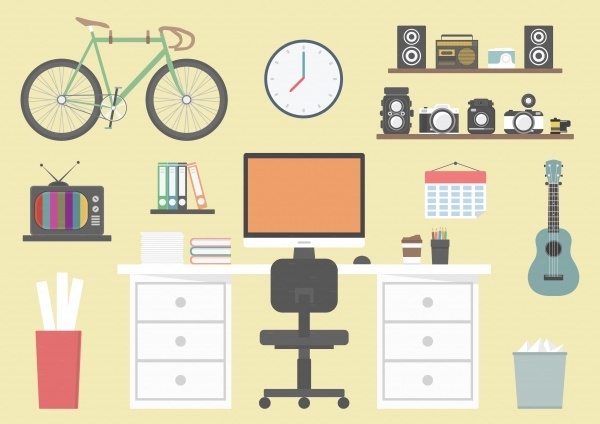 This vector is different from others as it represents the personal workspace which is why the objects are scattered on the desk. 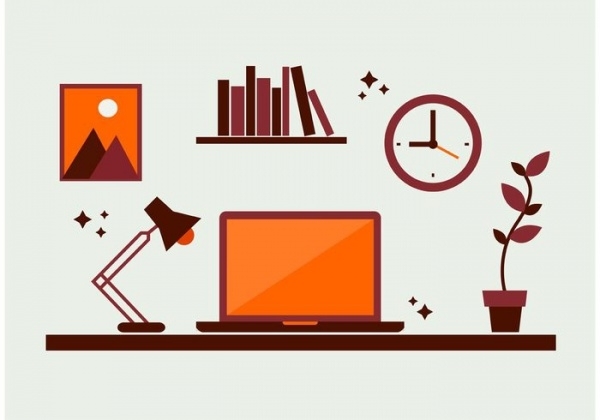 It makes use of personal items and these icons make it very creative. 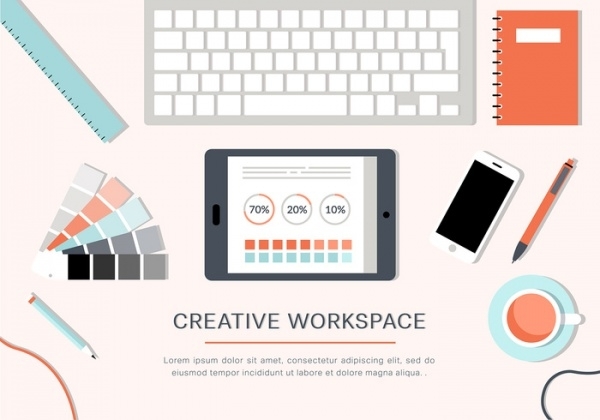 Workplace vectors are of great use to professional designers as it allows them to add a lot of charm in their designs. 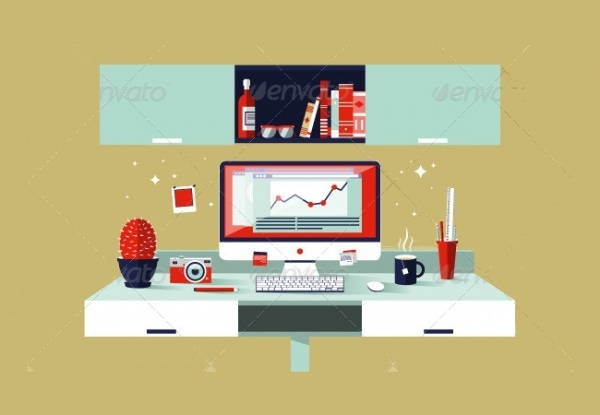 These illustrations can be used as a backdrop in websites or as interface for your mobile applications. 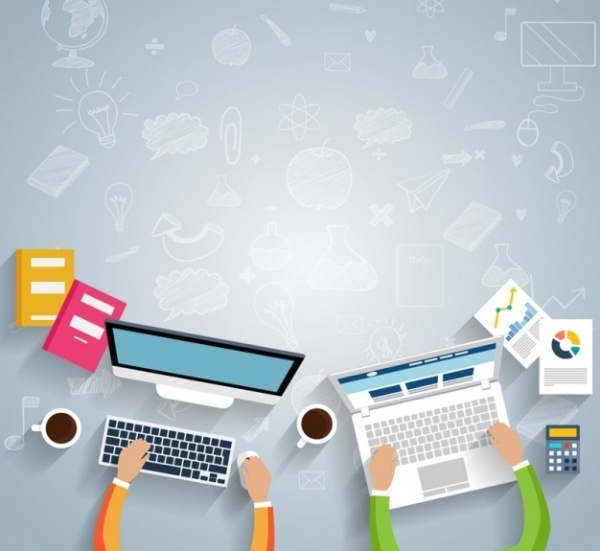 Not only that you can employ these vectors in brochures, flyers, posters or any digital marketing merchandise.